October is upon us, which means that the Chicago edition of Facades+ PERFORMANCE is only a few weeks away! Be there as leading innovators from across the AEC industry converge on Chicago from October 24th and 25th at AN and Enclos’ highly anticipated event to discuss the cutting-edge processes and technologies behind the facades of today’s most exciting built projects. Don’t miss your chance to take part in our groundbreaking lineup of symposia, keynotes, and workshops, and work side-by-side with the design and construction visionaries who are redefining performance for the next generation of building envelopes. Our Early Bird special has been extended until Wednesday, so register today to save on this unbeatable opportunity! Join Neil Meredith of Gehry Technolgies as he examine the relationship between digital design methodologies and real-world construction and fabrication constraints in the complex, wooden ceiling of the Burj Khalifa’s lobby. With representatives from Thornton Tomasetti and Imperial Woodworking, Meredith will lead an intimate, interdisciplinary discussion of the innovative, on-site solutions that his team developed in order to deliver one of the most visible features of the world’s tallest building, so don’t miss out on this rare opportunity! 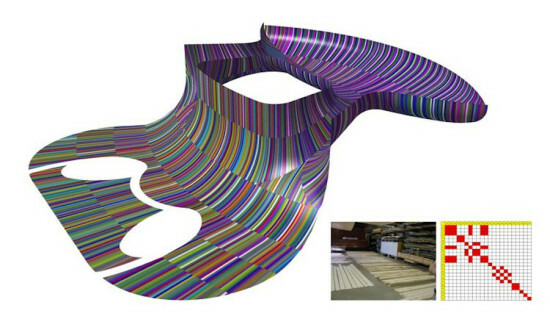 With the deadline fast approaching, Mederith and his team at Gehry Technoligies worked with SOM, Imperial Woodworking, and Icon Integrated Construction to develop new systems, mid-construction, for the design and fabrication of the large, double-curved, wooden ceiling of the Burj Khalifa. Coordinating the work of architects, fabricators, and construction professionals through complex, shared parametric models, Meredith redesigned the ceiling system from the ground up using pre-fabricated, unitized panels to create its astounding, wooden forms. 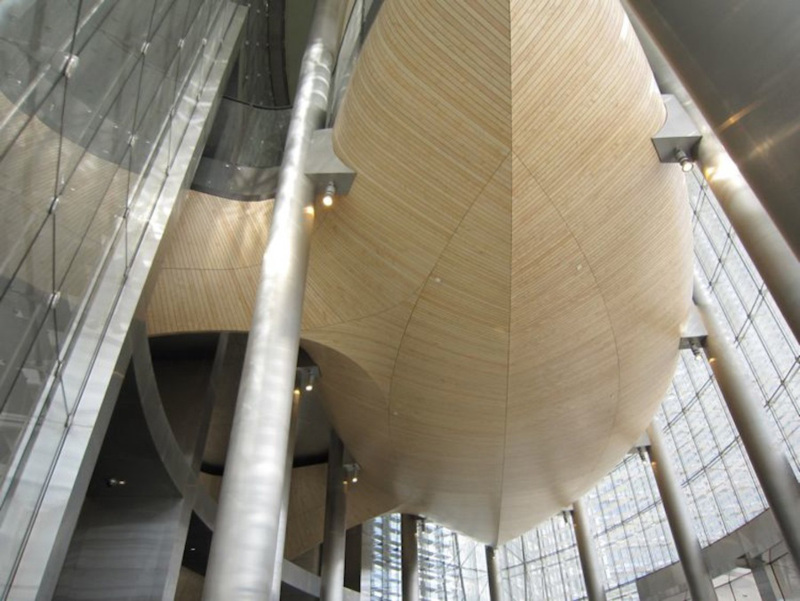 Join in the discussion to hear the rest of this dramatic AEC industry saga in the not-to-be-missed dialog workshop, “Designing for Wood Fabrication in Complex Geometries: The Burh Khalifa Ceiling,” and learn the technologies and techniques behind the creation of this historic project. After earning his Masters in Architecture from Univeristy of Michigan Taubman College of Architecture and Urban Planning, Neil Meredith taught and ran the Digital Fabrication Lab at his alma mater. Meredith earned hands-on experience with cutting edge design technologies and real-world construction challenges with Detroit-based design/build firm M1, the European Ceramic Workcentere in Holland, façade consulting office Front, and as founding partner of design and fabrication studio Sheet. In 2007 Meredith joined up with Gehry Technologies, the go-to design technology and consulting company for the industry’s leading architects. Through the pioneering use of the latest digital tools and processes, Gehry Technolgies has worked with world-class, visionary architects, like Zaha Hadid, David Childs, Jean Nouvel, and of course Mr. Gehry himself, to triumph in the realization of the truly innovative forms of some of the era’s most ground-breaking projects. Register for Facades+ PERFORMANCE today to take part in this and other exciting workshops and symposia. Featuring representatives from SOM, Morphosis, Thornton Tomasetti, and other industry-leading firms, this is one event that is not to be missed. Check out the full Facades+ PERFORMANCE site for the schedule of events and book your tickets now to start the next chapter in your professional career!